This minimal abstract piece is beautiful in its simplicity although it is full of layers and texture. The palette is mostly blue teals and copper oranges with the simple message: ‘make art not war’. I wanted to add ‘be nice’….but I thought it would sound a bit bossy. 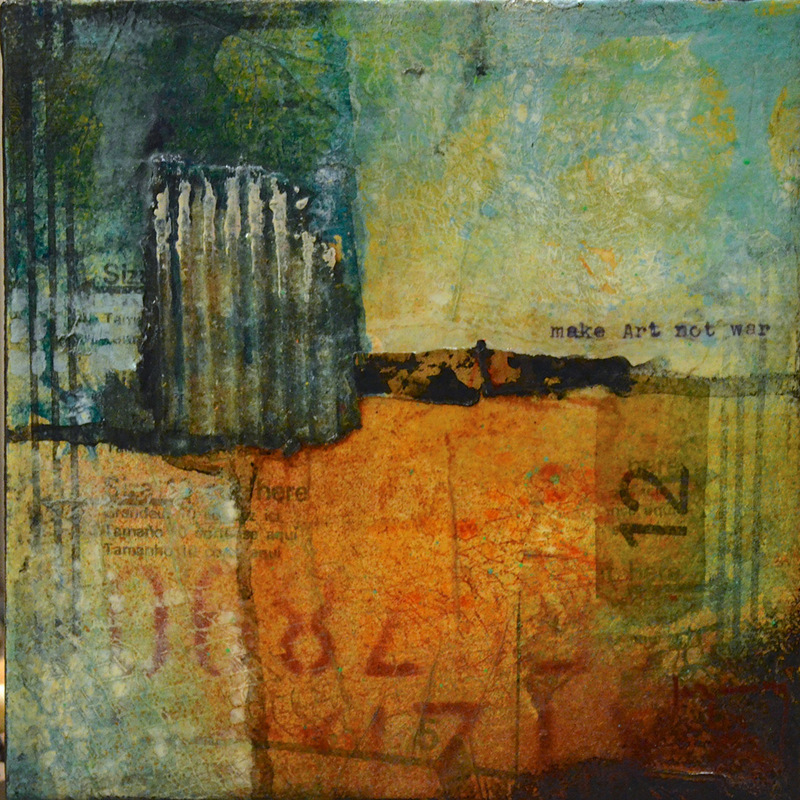 This small mixed media painting was created with layers of papers, acrylics, and inks on canvas. The painting measures 6 inches square and has 1.5 inch sides that have been painted black. It has been top coated with a matte finish to seal and protect it. This piece is wired in the back and ready for hanging.